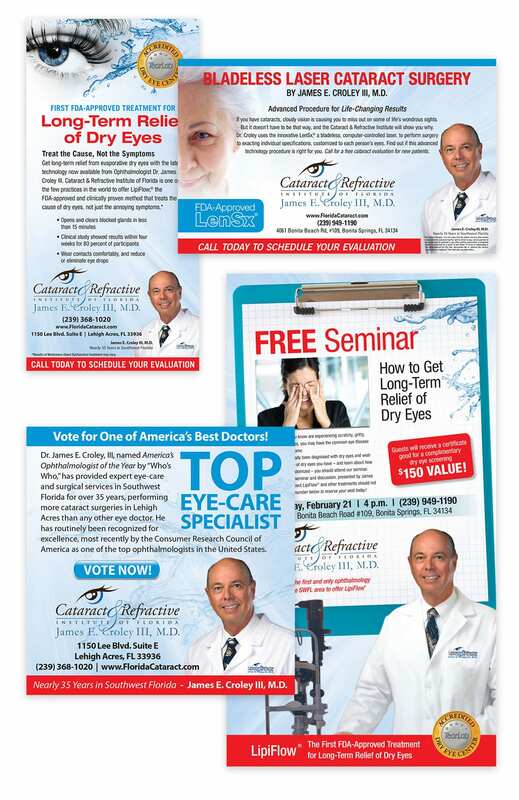 In 2004 when the Agency first started working with Dr. James E. Croley III, he had small-space ads running in various and scattered publications. Our research indicated he desperately needed a comprehensive approach to an overall marketing program. Spiro & Associates created a unified marketing plan, which initially included branding ads, service-related ads and a TV spot. We identified the publications that he needed to be in to hit his target market and began a regular schedule. It was important to let the community know that Dr. Croley performed certain procedures at no cost to them, as well as establish his credentials as one of America’s top doctors. Today, he enjoys a widespread awareness in two counties, and we continue to keep Dr. Croley’s marketing activities on the road of success. His journey is truly a testament to the importance of making a brand known, then consistently over the long run continue to advertise and market his services in strategic locations based on what works.